On Thursday, September 26, 2013 I had the pleasure of presenting at the Desire 2 Learn Regional Forum. This session was titled 'Lessons from the Campfire'. Thanks to all who participated and engaged in the topics and conversations. The session 'slides' were linked to SlideRocket, which no longer offers free service, so the presentation was recently migrated to Powtoon - to enjoy the memories of the fireside. Several interactive links and resources were used during this interactive, participatory IGNITE session. 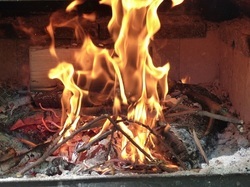 Each stage of the campfire is linked to online and/or blended course design principles using Desire 2 Learn. Research based effective practices are highlighted and shared.